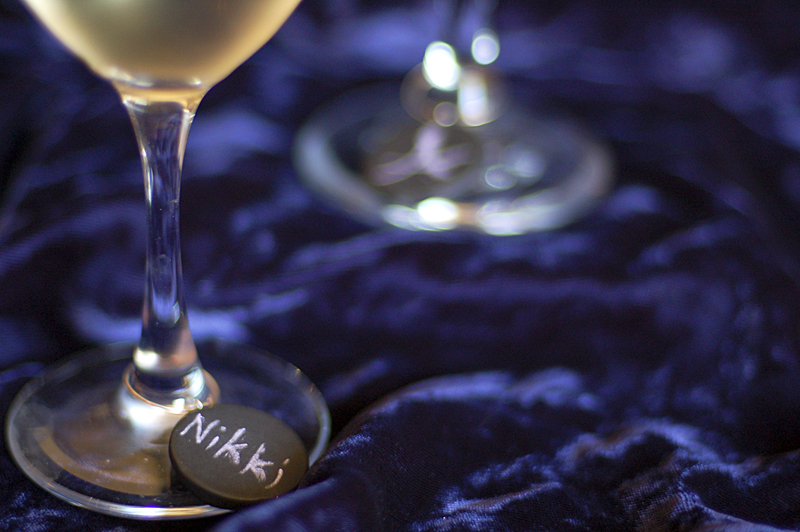 Tradewind Tiaras: New Product: Chalkboard Wine Charms! 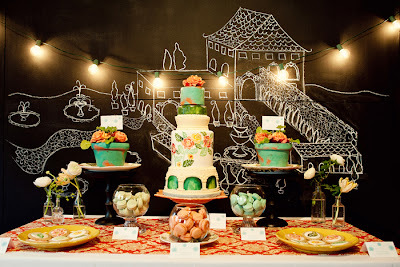 I just love creative uses for chalkboard paint. Love. Love love love. 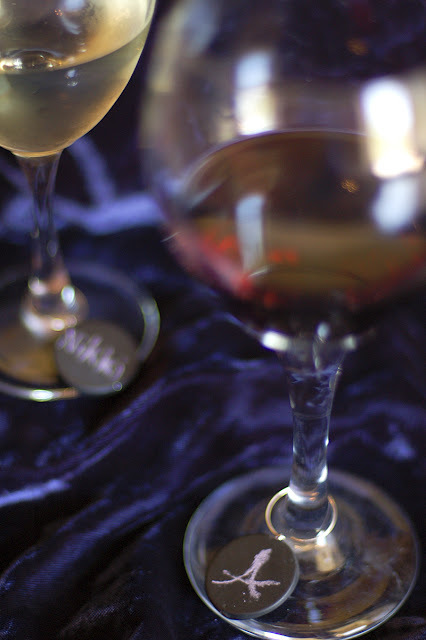 Do you remember my post on the chalkboard labeled glasses? 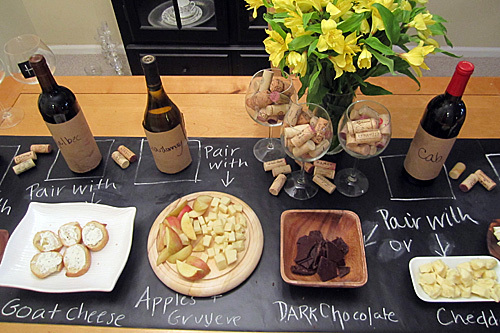 And how awesome is this idea for a chalkboard table runner from Rock-ur-Party? Or how about this amazing yet simple dessert table backdrop featured on the Amy Atlas blog? Yep, I'm enchanted. So I was particularly pleased with myself when I came up with this new idea: wine charms made from natural stone that work just like a chalkboard. Hooray, a fun chalkboard item that I created! I feel like I finally got to join the party. Already for sale on our Etsy store, and soon to be available on the tradewindtiaras.com website!